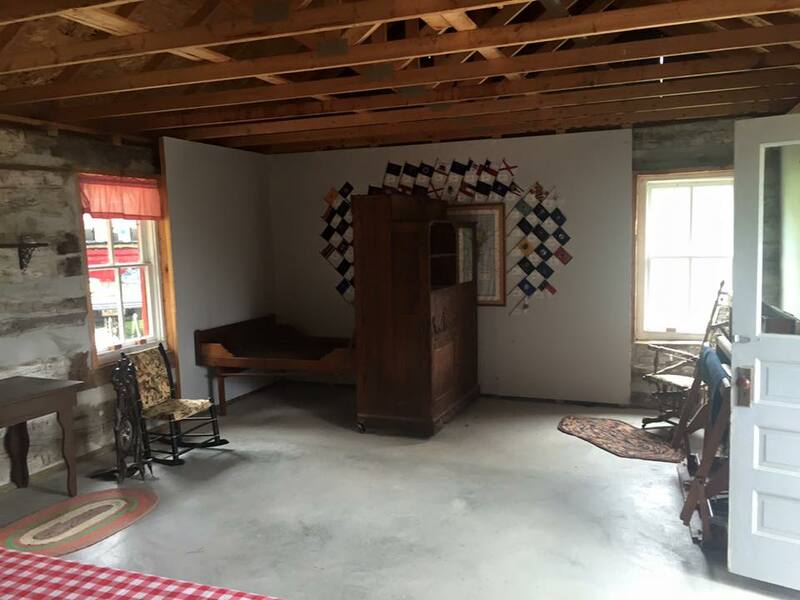 The Ligman- Cummings Cabin is set up to show the furnishings you would find in the early to mid-1800’s. The zinc bathtub under the window was quite a luxury in a time when often bath time meant the large washtub brought in, hot water heated on the stove, and you sat or stood to wash. In this tub, the occupant was able to stretch out in the warm water and fully enjoy him or herself. The cabinet in the corner is an icebox. This early form of refrigeration made it possible to keep milk, cream, and other foods safely for a period of time – as long as the ice held out. A block of ice was placed in the bottom compartment and the melting water would drip into a pan underneath. This pan had to be watched and emptied regularly or it would overflow, causing mom or the kids to mop and clean the floor. One of our senior society members shared his family’s way of dealing with the water pan by moving it to the back porch, drilling a hole under the icebox in the wood floor, and letting the ground below soak up the water. Mom didn’t have to scrub floor if the pan ran over. The unusual cabinet in the back of the room is a cabinet which contains a fold out bed, a desk with book shelves, and a closet. It can all be folded up and moved aside if necessary. This is a good example of ingenuity – a one piece bedroom with multiple functions. A 100 year old feather bed is currently on the bed which would have been very comfortable as well as warm.